Interior Rear View Mirror. 2006 - 2011 Honda Civic 2dr/4dr. 2006 - 2015 Honda Civic Hybrid. 2011 - 2016 Honda CR-Z. Condition: New. Compatibility: This item is compatible will all models listed in our compatibility section. Our compatibility is researched to the best of our ability - it is to be used as a suggested guide. 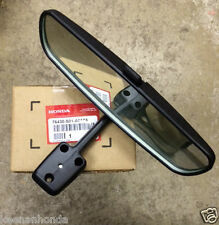 Up for sale is a new in box interior rear view mirror for the listed Honda models. We are a Honda new car dealer with over 30 years in the Baltimore Maryland market. We have a large inventory of Genuine Honda Parts! 1996 - 2000 Honda Civic all models. Interior Rear View Mirror. Used OEM Genuine Nissan Murano Maxima Gentex. Rear View Mirror E11015894. Part is in Great. used condition. We Clean and test every mirror. buy from Roluz OEM Auto Parts you acknowledge the potential for. 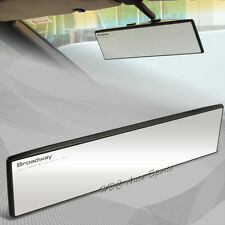 Type Suction Rearview Mirror. 1 x Suction Rearview Mirror. Clearer mirror view without distortion and strong suction fitting to ensure firm adhesion to the windshield window and supporting surface. Surfaces big vision, eliminate rearview blind spot. 270mm ( 11" ) Convex design To minimize Your blind spots. Simply Fits over existing rear view mirror ( no bolts or glue ). Universal for all vehicles. fits in almost all vehicles. Polished Finish to Give a Better reflection of The Rear. 12" (300mm) Convex / Curved surface designed to minimize your blind splots. 1 x Panoramic rear view mirror. Length: 300mm / 12 in. Universal for all vehicles, fits in almost all vehicles. We take no responsibility in teaching you how to install. 300mm ( 12" ) Flat design To minimize Your blind spots. Simply Fits over existing rear view mirror ( no bolts or glue ). Universal for all vehicles. fits in almost all vehicles. Polished Finish to Give a Better reflection of The Rear. Features full panoramic view. 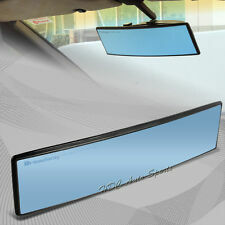 5-Panel mirror to improve driver visibility. Mirror housing material has a high impact resistant plastic. 1990-1997 Ford F-350 F350. 1990-1996 Ford Bronco. 1990-1997 Ford F-250 F250. 1990-1996 Ford F-150 F150. Interior Rear View Mirror With Manual Adjuster is a direct fit for the following JUST THE MIRROR DOES NOT INCLUDE ANY MOUNTING HARDWARE-- YOU RE-USE YOUR EXISTING ONE . Trending at $31.77eBay determines this price through a machine learned model of the product's sale prices within the last 90 days. IS A UNIVERSAL WINDSHIELD MOUNT DESIGN. WINDSHIELD MOUNTING TAB AND GLUE ARE INCLUDED. Using big sucker disc with stronger suction, and you can fix it and take it apart very easily. Type: Suction Rearview Mirror. Universal for most cars with standard size rear view mirror. Rotates &pivots to any angle for better viewing. 270mm ( 11" ) Flat design To minimize Your blind spots. Simply Fits over existing rear view mirror ( no bolts or glue ). Universal for all vehicles. fits in almost all vehicles. Polished Finish to Give a Better reflection of The Rear. Fits: Jeep CJ5, CJ7, CJ8 YJ TJ JK Wrangler 1987-2017. Includes mirror, mirror button and glue. Everything needed for a convenient do-it-yourself installation. Orders are typically processed within 24 hours. It either mounts on the tab already on your windshield or you can mount the tab that is supplied with the mirror using the supplied mounting glue. This is a universal windshield mount design. DONNELLEY - 011530 <---YOU MUST MATCH THIS NUMBER EXACTLY! SHOULD FIT 1999 TO 2008 ACURA TL CL AND MDX MODELS WITH THE. VERY TIGHT WITH NO BROKEN PARTS, MIRROR GLASS IS CLEAR AND AUTO DIM IS FUNCTIONING AS INTENDED WITH NO LEAKING. This is a NEW OEM Gentex rear view mirror. IF YOU HAVE CHAMBERLAIN, LIFTMASTER, OR CRAFTSMAN 2.0 OR NEWER GARAGE DOOR OPENER, YOU'LL NEED TO BUY A REPEATER KIT FROM GENTEX. We include the "how to wire" instructions with it - YOU CAN DO IT YOURSELF FOR SURE. 2013 - 2017 Subaru Crosstrek. Stoplight Switch. 2008 -2014 Subaru Impreza WRX (sedans only). 2011 - 2014Subaru Impreza STI (sedans only ). Genuine Subaru. 2014 - 2016 Subaru Forester. 1 Year Subaru Parts Warranty. Nissan NV1500. Nissan Tiida [ C11 ]. Nissan Tiida [ C12 ]. Nissan Altima [ L31 ]. Nissan Altima [ L32 ]. Nissan Altima [ L33 ]. Nissan Fairlady 350Z [ Z33 ]. Nissan Navara [ D22 ]. The mirror is in good working condition and the auto dimming is in working condition. The compass work perfectly. The plug has a 7 pins inside and to mount and un-mount the mirror by slide up and down and secure with a screw. UNIVERSAL OVAL REARVIEW MIRROR. GREAT FOR OLD CHEVY, FORD, CAR, TRUCK, HOT ROD, RAT ROD. MOUNTING HOLES ARE 1 3/8" CENTER TO CENTER. 1 x Panoramic rear view mirror. 300mm ( 12" ) flat design to minimize your blind spots. Universal for all vehicles. fits in almost all vehicles. Simply fits over existing rear view mirror ( no bolts or glue ). 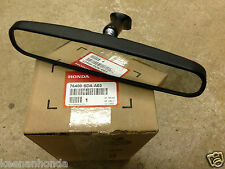 FOR HONDA CIVIC INTERIOR REAR VIEW MIRROR. 1996 - 2000 Honda Civic (All Models). 1X INTERIORREAR VIEW MIRROR. This 10” mirror attaches to the windshield on a swivel mount and can be tilted to reduce the brightness and glare of headlights shining directly at eye level. Fits OEM mounting on all cars, trucks and vans. Compass: Yes. If the mirror isn't plug and play, you'll likely have to splice wiring and harnesses to get a new mirror to function correctly. You will still need to find a wiring diagram for your car to complete the process. 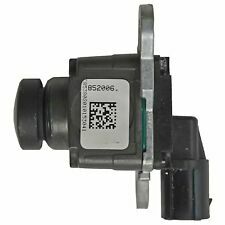 The item part number is e11028006. You are viewing 2014-2017 OEM Cadillac XTS rear view mirror. The item is listed as used because it has scratches as we provide in the picture above. The item fits 2014-2017 Cadillac XTS.